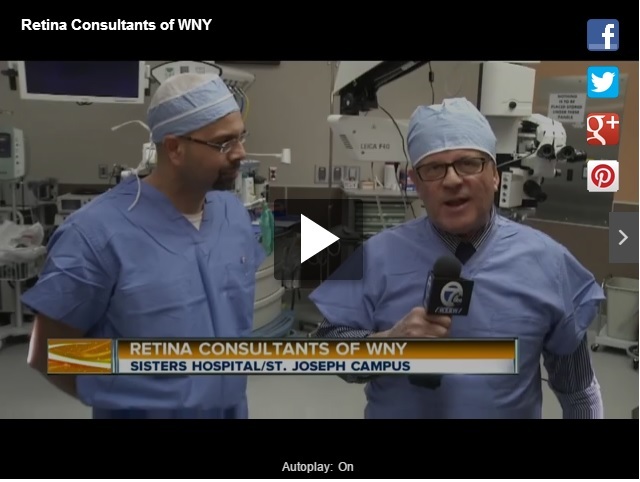 In February of this year Retina Consultants of WNY joined with Sisters Hospital at the St Joseph Campus in their newly renovated surgical suites. Sisters of Charity Hospital St. Joseph Campus will now be home to some of the most sophisticated eye surgery in Western New York. The physicians of Retina Consultants of Western New York have begun treating patients at the St. Joseph Campus in September of this year. The Following video appeared on AM Buffalo with our Dr. Mehdi Khan.